Spring break is right around the corner, and for us that usually means a vacation with the kids. Last June we surprised our son with a trip to Walt Disney World. It was the vacation of a lifetime, and he still talks about the trip in the most magical way. 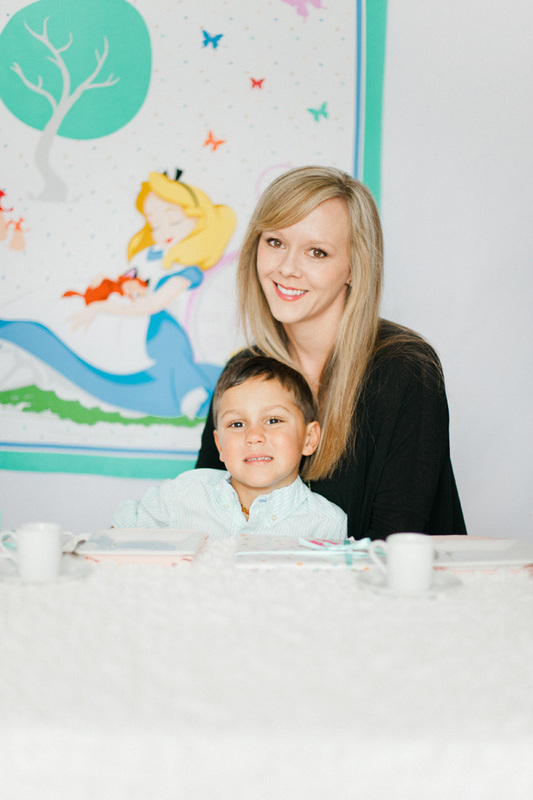 This year we’re spending it at home, and while for him, it doesn’t hold a candle to our trip last year, we’re still making it magical by hosting an afternoon tea for our closest friends. 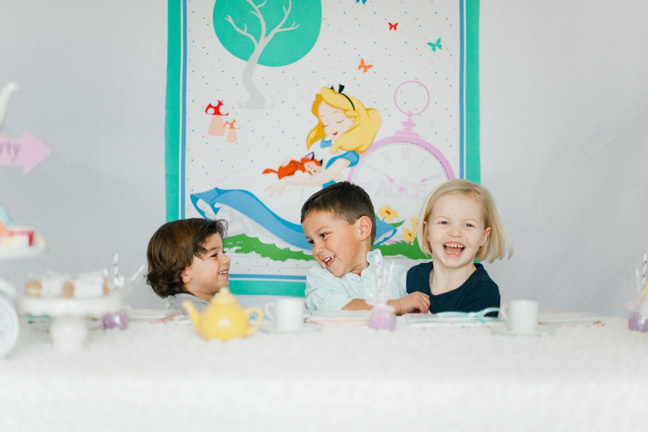 A Disney Alice in Wonderland fabric made for the perfect fun and bright backdrop. The price is right, and it makes a statement. 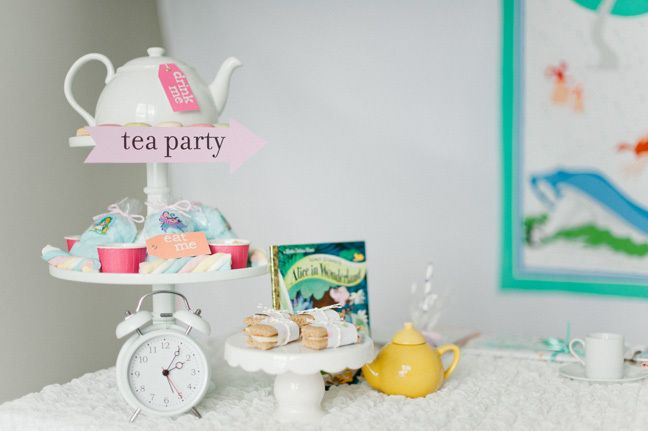 I pulled out cake stands, teacups, tea pots, and even an alarm clock from our guest bedroom to make this come together. I used a tablecloth, plates, and teacups that we own. 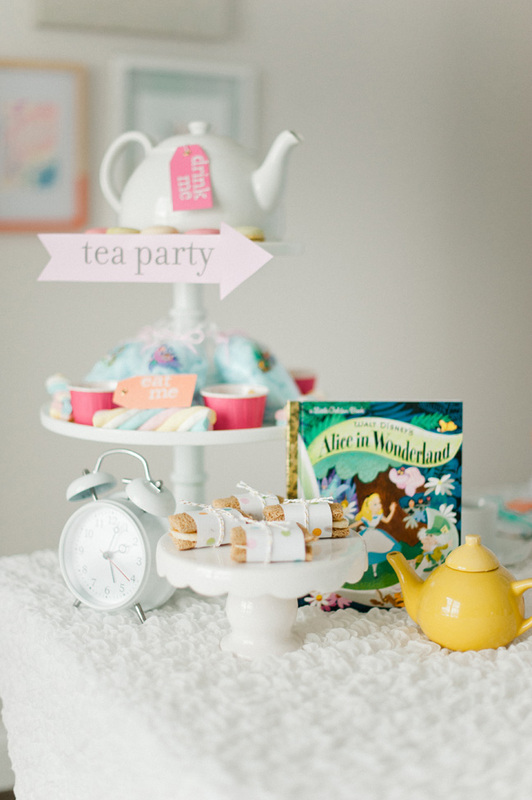 And adding the book to the table was a festive way to bring Alice in Wonderland to the table. I chose Disney-inspired menu items such as cotton candy because my son thinks of cotton candy when he thinks of our trip to Walt Disney World last year. 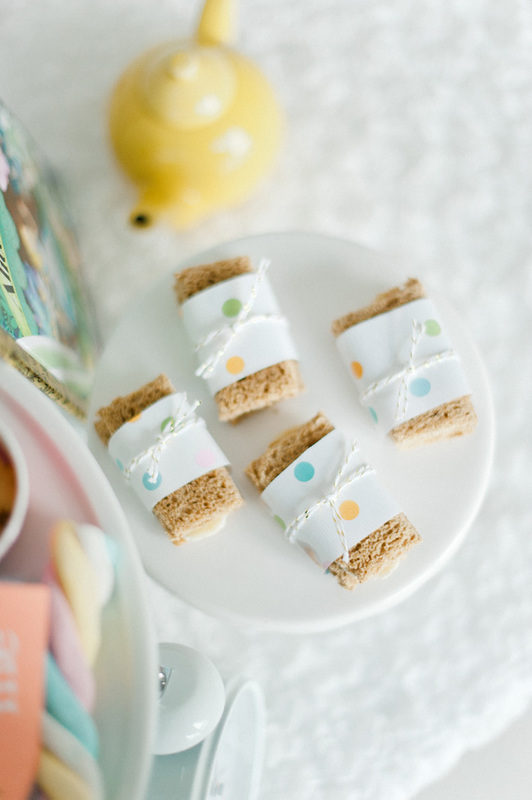 I also put together simple tea sandwiches. One was simply peanut butter and bananas (his favorite). The other was baby food puree, cheese, salt, and pepper, and the sandwiches were cut into squares. It might sound strange, but it’s fabulous, nutritious, and quick. You could easily take it up a notch with a teacup shaped cookie cutter. We chose to wrap the sandwiches in wrapping paper and finish it off with shiny gold baker’s twine. 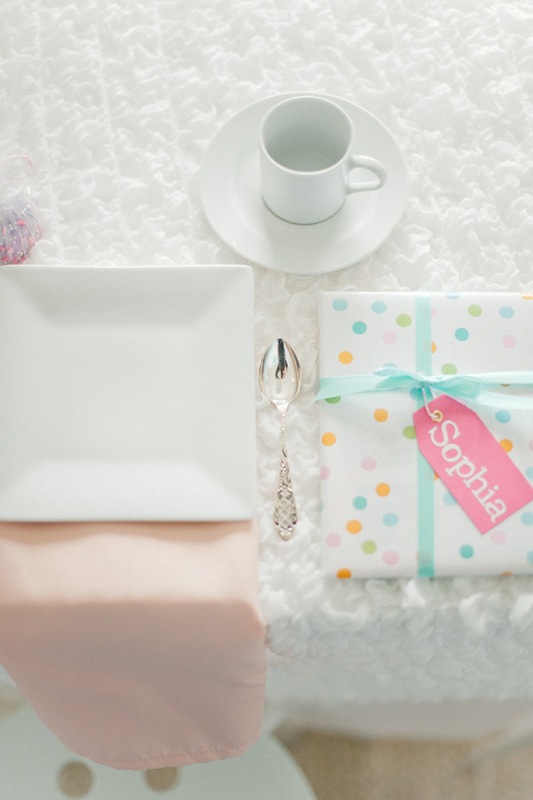 We also included store-bought twisted marshmallows, lemon tea cakes, macarons, and cake pops. Nothing was homemade other than the sandwiches. I like to keep it simple, and sometimes choosing store-bought saves me a lot of time and hassle. 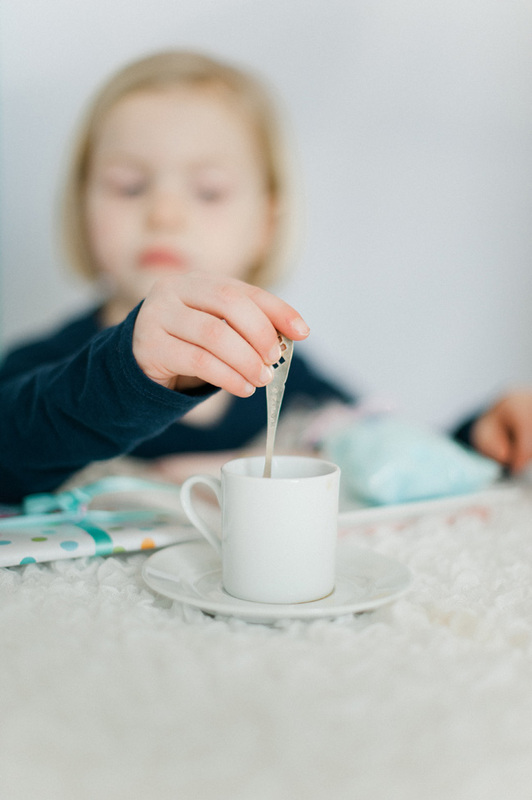 And last, we included an herbal children’s tea with honey since it’s not a tea party without tea. 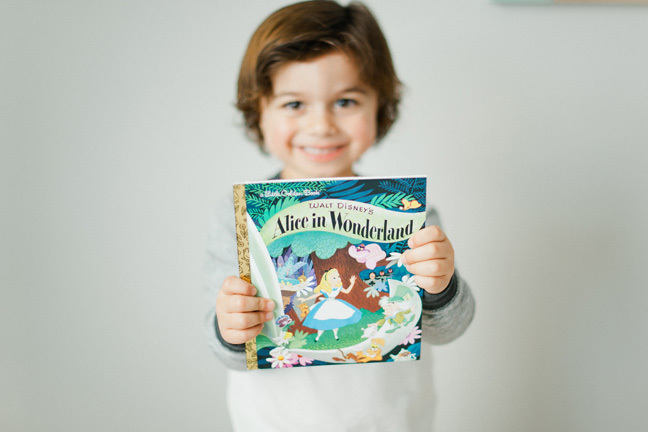 Party favors are not necessary, but the Walt Disney Alice in Wonderland Little Golden Book is just $3.99 and makes a great party favor. My son loved reading his after the tea party, and we heard that our neighbor Rocco read it right before his afternoon nap. 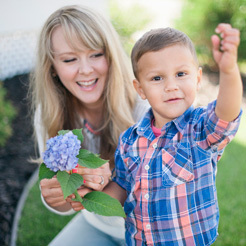 He loved reminiscing about the tea party with his mama. It’s all about making memories, isn’t it? I made some themed signage simply using white stickers on colorful tags. 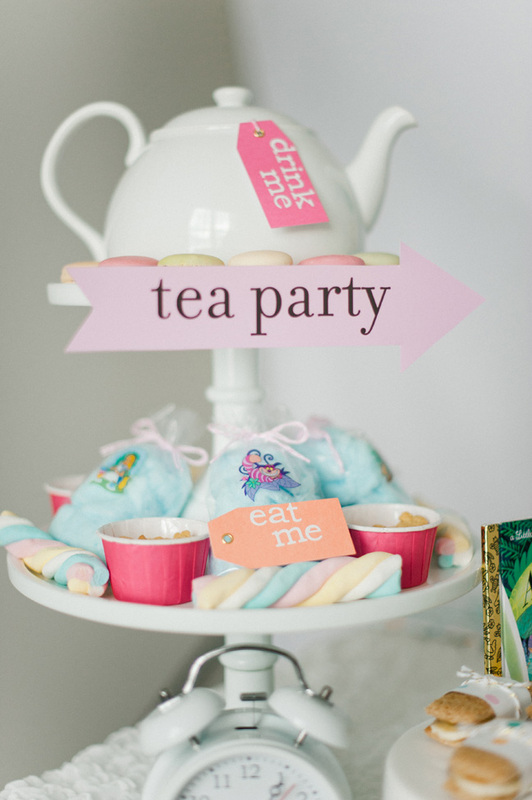 I also printed off a “tea party” arrow to add to the Alice in Wonderland feel of the party. 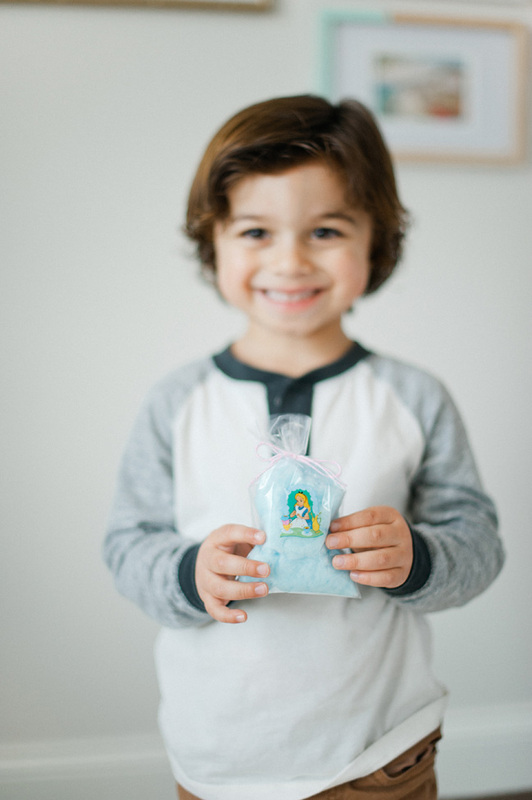 I loved using simple Alice in Wonderland stickers to add to the cotton candy bags. 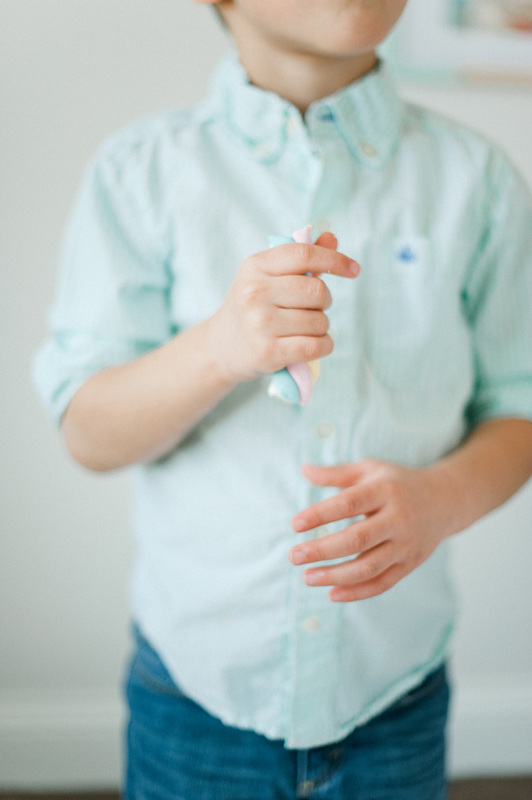 Creating magical and unforgettable moments at home is something I love to do for my kids. It doesn’t take a lot of time (or a lot of guests—we invited two of our neighbors!) to throw together an afternoon of fun. Whatever you decide, togetherness is always a great idea.